The Apstar 6C communications craft lifted off at 1606 GMT (12:06 p.m. EDT) Thursday from Xichang, a launch site in a mountainous region in Sichuan province, according to statements released by Chinese launch authorities. 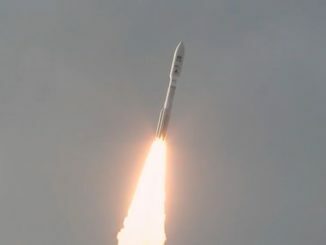 The 184-foot-tall (56-meter) Long March 3B rocket, powered by a core stage and four liquid-fueled boosters, departed Xichang toward the east-southeast to propel the Apstar 6C satellite toward its perch in geostationary orbit more than 22,000 miles (nearly 36,000 kilometers) over the equator. The Apstar 6C satellite deployed from the the Long March 3B’s third stage less than a half-hour after liftoff. The spacecraft’s own propulsion system will circularize its orbit at geostationary altitude in the coming weeks, where its velocity will match the speed of Earth’s rotation. 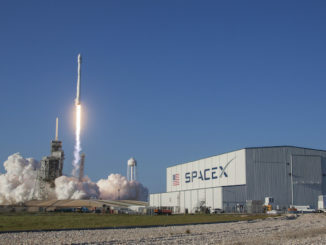 Apstar 6C will enter service at 134 degrees east longitude for a planned 15-year mission, providing in-flight connectivity for airliners, video distribution services, direct-to-home television broadcasts, and cellular backhaul capacity across China, Mongolia and Southeast Asia. Equipped with 45 C-band, Ku-band and Ka-band transponders, Apstar 6C’s wider coverage zone will stretch from Siberia and India in the north and west, to Australia and Hawaii in the south and east. The spacecraft was built by the China Academy of Space Technology, based on the state-owned contractor’s DFH-4 satellite design. 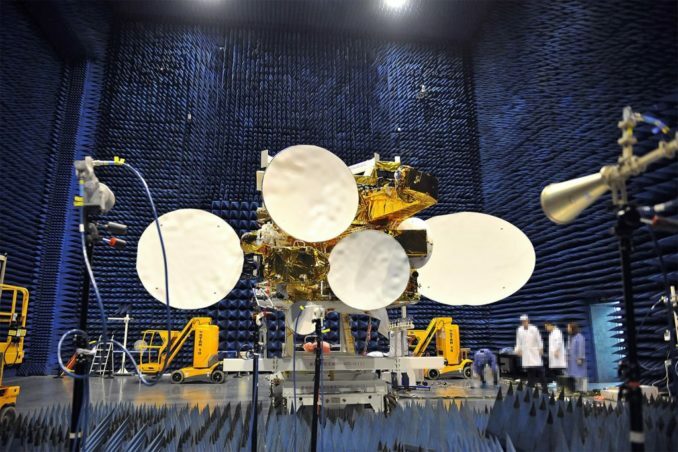 APT Satellite, a communications satellite operator based in Hong Kong, ordered the Apstar 6C satellite to replace Apstar 6 telecom craft launched aboard a Long March 3B rocket in 2005. 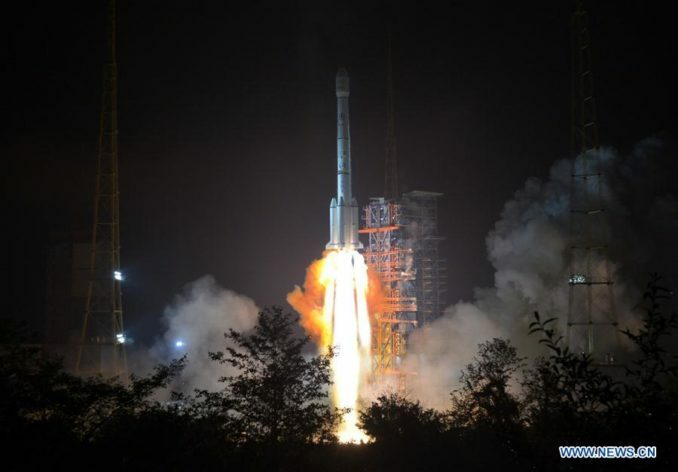 APT satellite, also known as Apstar, arranged for the spacecraft and launch services with China Great Wall Industry Corp., the government-owned organization charged with selling Long March rocket missions on the international commercial marketplace. Apstar has another Chinese-built satellite, Apstar 6D, under construction for launch on a Long March 3B rocket in 2019. 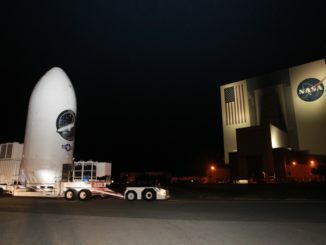 The operator also has secured capacity on the Canadian-owned Telstar 18 Vantage communications satellite launching next month on a SpaceX Falcon 9 rocket. Apstar calls its share of the Telstar 18 Vantage satellite’s capacity Apstar 5C. Thursday’s flight was the 13th Chinese space launch of the year, and the 41st space launch worldwide so far in 2018. Chinese launch crews are readying another rocket, a Long March 4C, for launch May 8 from the Taiyuan space center carrying an Earth observation satellite into orbit.